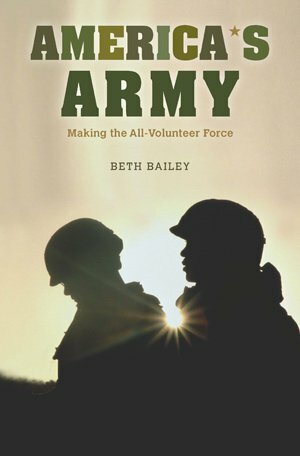 America’s Army is military history of a different kind: it uses the story of the making of the all-volunteer army as a window into the history of American society over the past forty or so years. Today’s all-volunteer military was born in crisis. It grew out of turmoil over the Vietnam War, and its first decade is a chronicle of struggle and frustration. In the wake of a war gone badly wrong, an unpopular institution wracked by internal crisis faced the challenge of recruiting large numbers of young men from a racially, culturally, and politically divided society. Despite a dreadful civilian job market and the Army’s attempts to “sell” soldiering, all signs were bad. Many of the convulsive struggles of 1970s America–over race, over the proper roles of women, over the meaning of democracy and citizenship and patriotism–also exploded within the ranks of the Army. The overall “quality” of recruits was poor; the notion that the all-volunteer force (AVF) would draw “motivated men . . . with the higher level of technical and professional skill” necessary to operate the “complex weapons of modern war” seemed increasingly implausible. 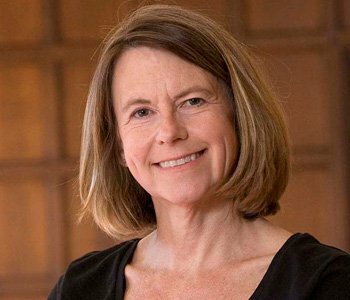 Many thought the AVF would fail; a renewed draft seemed more than possible. But in the 1980s and 1990s–a period of more limited deployments and relative peace—the volunteer force created believers both within and outside the military. In ending conscription, the United States discarded the understanding that military service is an obligation of (male) citizenship. That move had serious implications, some of them unforeseen. All-volunteer status pushed the army into the marketplace–not only into the labor market, where it had to compete with other “employers,” but into the consumer marketplace as well. Trying to fill its ranks, the Army adopted the most sophisticated tools of consumer capitalism. It turned to market research and high-budget advertising and worked hard to portray military service not as obligation, but as opportunity. The end of the draft also gave the military less control over who joined. The Army turned increasingly to women, accepted a vastly disproportionate number of African Americans, and worried greatly–for different reasons—about both of these decisions. I argue that the US military, out of necessity and not always happily, was the American institution that most directly confronted the impact and legacies of the nation’s struggles over civil rights and social justice.